Men’s and Women’s swimming teams started out slow with 11 losses in total and look to rebound in the next three home meets to turn their season around before the end of January. The teams this year have been outperformed by their opponents. On the men’s side, they give up a total of 529 points from opponents compare to their score of 310 points. On the women’s side, they give up 717 points and have a total of 349 points. One key issue that has affected the teams performances at the meets is lack of practice. Freshmen Marissa Buchanan describes the need for practices on the losses from the meets. Buchanan is in her first year with the team. She won the 1000-yard freestyle in the double dual meet against Bard College and The College of Mount Saint Vincent. 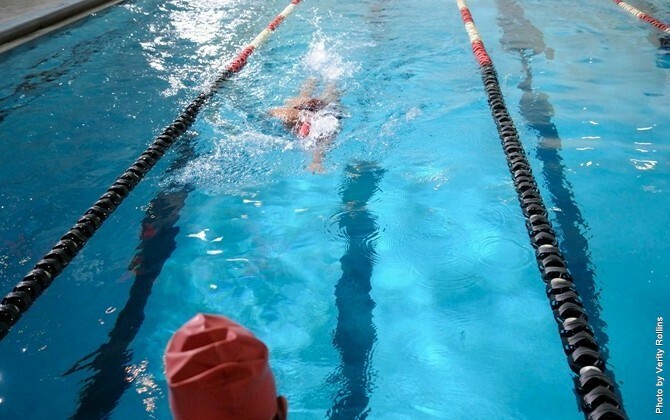 Although the players aren’t finding the time to practice hard and executed well in the meets, most of it is on the balance between school and swimming. Assistant Coach Robert Trotman believes the swimmers are having a hard time balancing school and practice. There have been top performers in the season despite the balance and school. On the men’s side, Freshmens Travis Henry and Justice McCain also exceeded well in the double dual meets. Henry won both the 50 yard freestyle and the 100-yard backstroke. McCain also won both the 100 and 200 yard freestyle despite falling short as a team. Trotman does not take away their effort and commitment in the practices and meets, but makes sure that school comes first before swimming. But the teams remains positive they can improve for the upcoming meets. They are focusing on putting more effort into practice so it can reflect during the meets. The teams haven’t found their flow but are trying to make adjustments and showing up to practices. No matter how limited the players have between school and practice, they are giving it their best. Both teams next meet will be on Jan 8 against the College of Staten Island.